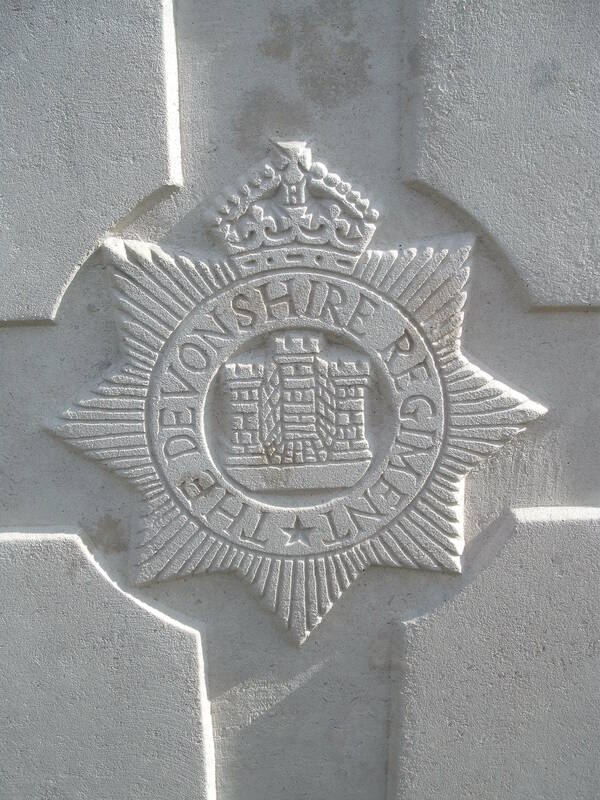 2nd Bn, The Devonshire Regiment, 23rd Brigade, 8th Division, B.E.F. Next of Kin: Son of George and Ann Bennett of Pickersleigh Road, Malvern. William Bennet was born at Handsworth, Birmingham; the son of George and Ann Bennet. At the time on the 1901 Census the family we are 2 Hutton Road, Handsworth and George Bennet’s trade was given as ammunition worker. In 1919, now living at Pickersleigh Road his parents received official notification that William had died of wounds whilst a prisoner of war. It is likely that he was taken prisoner in during the German Spring Offensives between March and May 1918.